It finally happened. After a number of delays and thoughts about the appropriate time to actually build this new project, there is now something solid in the backyard. I had intended to start building this new shed/studio space nearly 18 months ago, but a few different home chores kept taking higher priority. 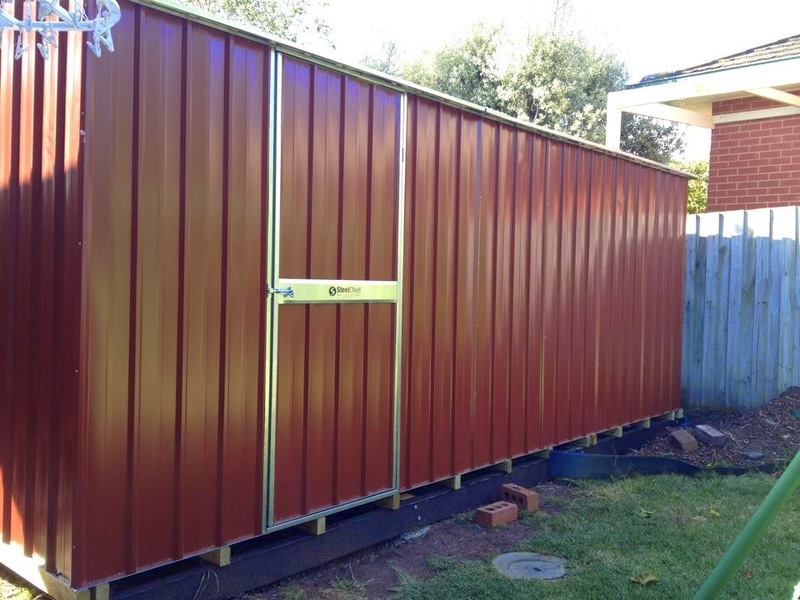 As it was, I probably had intentions to still delay this new shed until after the 2015 Australian Narrow Gauge Convention, but it pretty much came to the fact I've nearly run out of storage space around home. With two different layouts under construction out in the garage, as well as a heap of salvaged cabinets from a friends recent home renovation (enough to use for all the under layout storage I will have in the new space), I needed to establish the new studio/shed to free up space around the house. The last posting showed the old garden shed being demolished. The new shed is now up...twice the size, and all dedicated studio modelling space. 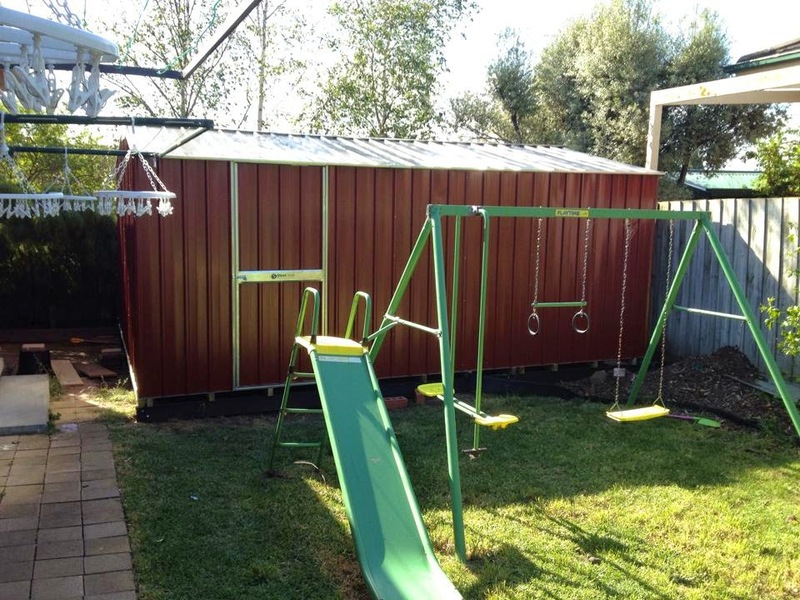 Stumps dug, bearers installed, shed goes up (knew the kids would come in handy one day! ), and the flooring is starting to go in. Moving large sheets of yellow tongue solo is a "fun" job. 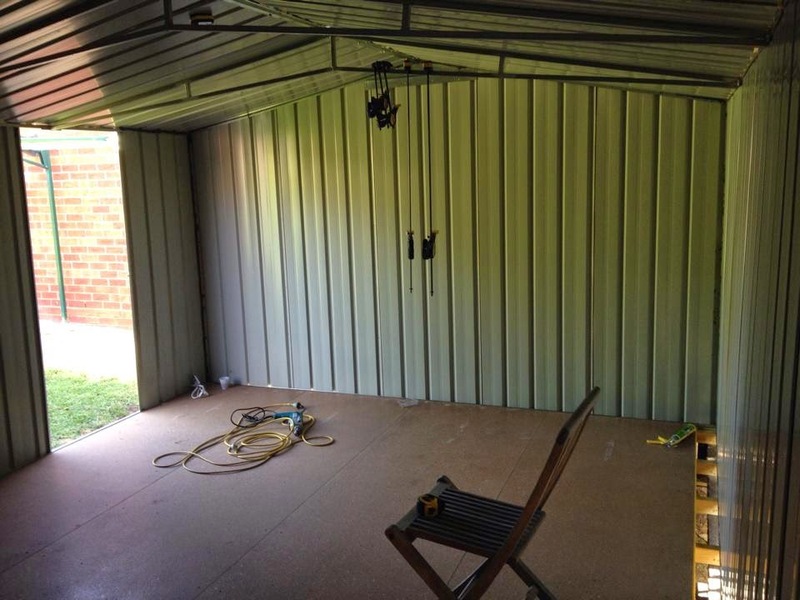 The final space will end up being roughly 3.5m x 5m once the inside of the shed gets a light stud wall and some insulation installed. The roof line ended up being slightly lower than originally intended, but turns out it will help make the room feel bigger. I had planned to leave it open over the layout, but with the lower roof, will go back to including an overhead lighting valance around the layout footprint (much the same as my previous exhibition layout designs). This will essentially create a couple of corridors around the layout space. With a blackened roof and all the under layout storage covered by curtains, it will make it harder to view the whole layout from one spot, meaning you'll have to walk around the scenes to experience it. The size of the trees that will be across the layout will also create plenty of view blocks. Still a lot of work to be done before anything like a modelled layout starts to take shape (lining the walls, running power and lighting, reconfigure the cabinet work etc etc), but it is nice to now know there is some definite progress in the backyard, rather than just talk of this future home layout dream.